The firm’s founding partner Albert Datz has vast experience as a trial lawyer, but during recent years has focused on high-end divorce and criminal cases. He has represented high-profile public officials, prominent citizens as well as national television celebrities in divorce cases and criminal cases. Albert Datz was one of six Florida lawyers who together with six trial judges, six appellate judges, and a Supreme Court justice, served on the Florida Supreme Court commission to recommend changes in divorce laws in Florida. 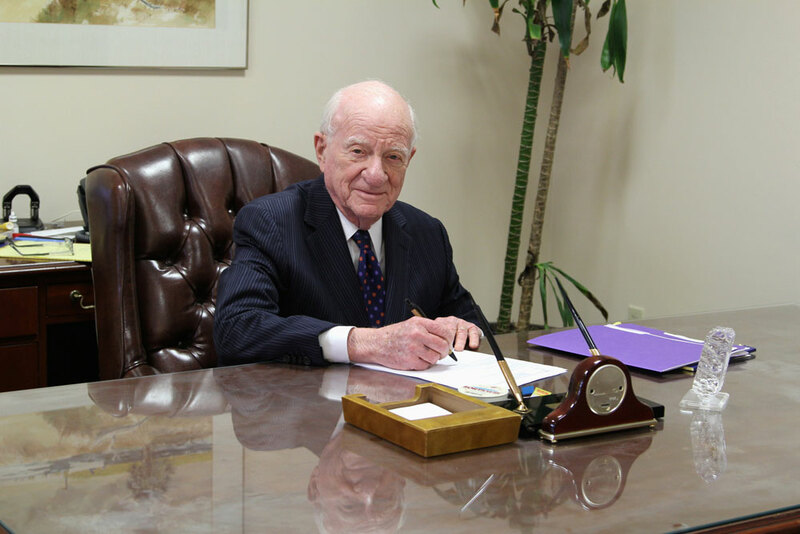 Albert Datz’s legal career began after he graduated from the University of Florida law school and was admitted to the Florida Bar in 1948. He served as an assistant prosecuting attorney from 1949 to 1951 after which his practice focused on criminal law. He was chairman of the Florida Supreme Court commission that wrote the first rules of criminal procedure for Florida and was chairman of The Florida Bar’s Committee on Criminal Justice. He was a member of the board of directors of the National Association of Criminal Defense Lawyers from 1968-1971. Later, Datz became a member of the Florida Supreme Court committee to draft standard jury instructions in criminal cases. He was also one of 18 lawyers nationally that served on the council (board of directors) of The American Bar Association’s Criminal Justice section where he helped form positions of the American Bar Association on important legal issues as well as bills pending in congress concerning criminal law matters. In addition, Albert Datz was a chairman of the American Bar Association’s committee on Federal Rules of Criminal Procedure. As part of his work with the American Bar Association, he was a member of the commission to draft and implement minimum standards for criminal justice where he served with nationally prominent lawyers forming recommendations to the states and federal government for criminal law policy in specific fields. He was the recipient of the annual award by the Florida Bar for outstanding contributions to criminal justice. He is a member of the American College of Matrimonial Lawyers as well as the American College of Trial Lawyers, a prestigious group selected on experience and merit.